Click the 'Create Resume' button to begin. Enter in your information to and follow the steps. Save a .TXT version of your resume or subscribe for more features. We know first impressions are everything... let us help you build an impressive resume that gets you noticed! Resumes can be difficult to write, especially if you are not certain on what needs to be included to make it a professional and effective one. That is exactly why we created Free Resume Builder to help you 'build' one that will get you the results you are looking for. 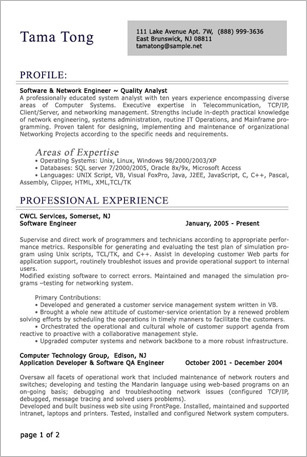 At ResumesPlanet.com we make it so easy to create a winning resume. In just three simple steps we will guide you through creating a resume that will focus on and highlight your educational background, your skills, and most importantly, your experience for the position you are applying for. Use our resume templates and take advantage of our resume writing tips and examples to create a winning resume. We offer a variety' of resume templates to choose from so you can pick the best option that suits your needs. We also offer resume writing samples and tips because we know sometimes it is easier to learn from example; and everyone can benefit from resume writing tips that will give them that "competitive edge"! We will need to begin with your basic information which will include your contact information. Without your email address, telephone number, and residential address a potential employer won't be able to contact you if you are chosen for an interview. Additional information might also be needed by the potential employer so make certain your contact information is up to date and correct. If you are more easily reached by your cell phone be certain to include that number as well, you wouldn't want to miss an important call. Next, you will need to gather all of your educational information and your certifications. Sometimes an employer will also will want a copy of your transcript so be sure to keep that handy as well. You will then type in all the information in the required fields, your school, the year you graduated, your major, and the degree you received. We leave plenty of room for you to include any certifications or continuing education you may have. If you don't have any relevant information in a particular field throughout the resume template you can certainly skip it, but we do recommend you filling out every field possible, so that none of the pertinent information is excluded. The most important section of your resume will be your work experience. This section is where you will want to list your past employment history including your job position and duties, start and end dates, as well as a contact name and number for a reference. Make this section work toward your advantage by highlighting your special skills and recognitions in this job, what you accomplished and contributed while in this position, and what you believe you can bring to this new position that makes you the best candidate for the job. Be sure to check out the selection of design templates we have available at ResumesP for creating your winning resume. With just one click you can select the resume design of your choice. We offer a variety of options to choose from that will best suit your needs and how you want to present your resume. At ResumesPlanet.com we give you the option to create your resume from scratch making it uniquely 'your own' or you can upload one of our professional resumes, it's your choice! One of the more appealing aspects in using Resumes for your resume needs is that we offer the option of creating your own resume to suit your needs. You can start from scratch by building it 'from the ground up' and make it uniquely your own or you can use our free tool for creating a professional resume you can download to a .TXT file. Either way, take advantage of the easy and efficient resume building tools and tips we have to offer and subscribe to our services to enjoy added benefits so you can feel confident you have the best possible resume to present.